As riders, whether hobbyists enjoying a hack around the block or more serious aspiring competitors, we are very lucky in that we have a wealth of inspirational famous horse riders to look up to. These include dressage stars, showjumping aficionados, jockeys, cross country experts, all available for a bit of studying at the touch of a button! You can google just about anything these days, and this includes famous horse riders so you can learn things from their style – or simply enjoy watching the beautiful magic worked between horse and rider. Following is a list of some of the most well known and celebrated riders, their discipline and a little bit of information so you can decide who you want to find out more about. Charlotte Dujardin is the most successful dressage rider in British history. 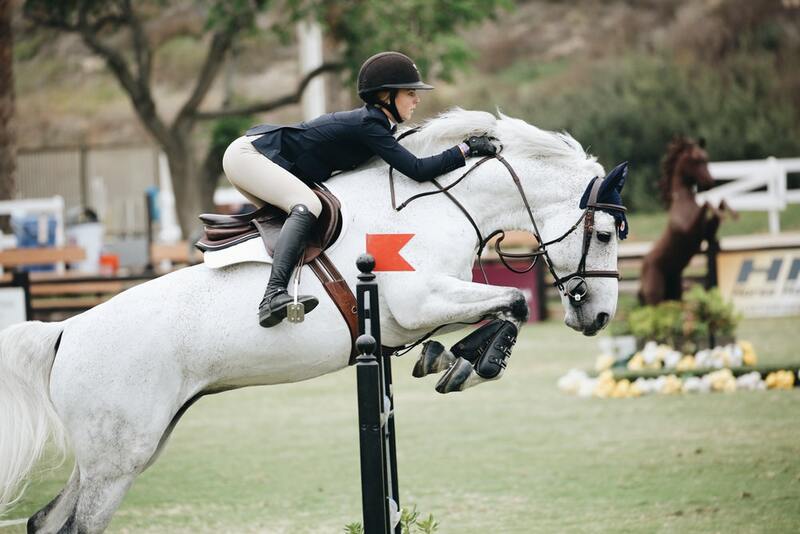 She started riding at age 2, and continues to this day – she is only 33, so should have a good long career ahead of her! She is most well known for winning Gold in both the single and team dressage events the 2012 Olympics on Valegro, a horse with whom she set world records and dominated the dressage scene. Valegro has since retired, but Charlotte’s career continues. Definitely one to watch out for at all future major equestrian events! Theodora “Anky” van Grunsven is a Dutch dressage rider who has been phenomenally successful in her chosen discipline. She has won the Dressage World Cup a record of 9 times, and has competed regularly at the European Dressage Championships, where she won seven individual medals and eight team medals between 1991 and 2009. She has been linked with the controversial “rolkur” training method, though has distanced herself from this since it was banned in international competition. She began dressage training at age 12, and continued her successful career, even being named Rider Of The Century in 2001. Nowadays she trains her own horses, teaches students, holds clinics, and runs an equestrian clothing business. Born in 1953, Lucinda Green began riding at the age of four and has represented Great Britain on numerous occasions in cross country and eventing. She has won the Badminton Horse Trials a record six times between 1973 and 1984, and first represented GB in the 1973 European Championships. She finished her international riding career in 1987, after the European Championships. She now commentates for major events, and runs clinics worldwide. She even has a video game based on her career; “Lucinda Green’s Equestrian Challenge” which is another claim to fame! A German born equestrian, Michael Jung competes in eventing. Born in 1982, Michael took up riding at the age of 6, and first competed in an international competition in 2009, taking bronze. At the 2012 Olympics he won gold in both the individual and team events, and has since made history by becoming the only rider to have ever held the Olympic, European and World championship titles at the same time. In 2016 he became only the second rider ever to win the Grand Slam of eventing, which is the Kentucky Three Day Event, Badminton Horse Trials and Burghley Horse Trails. Michael continues to ride competitively, and continues to clean up in the medal stakes! His latest success was at Badminton in 2017, where he finished second on La Biothesque Sam. Born in Milan in 1970, Frankie Dettori is an Italian jockey who has ridden to fame numerous times, and was even named World’s Best Jockey in 2015. He started riding at the age of 12, and got the bug well and truly! He went on to be a stable boy in Britain, and started jockeying around 1985. Dettori’s most celebrated achievement was riding all seven winners on British Champions Day at Ascot in 1996. In 2012 Frankie courted controversy, being banned for testing positive for a banned substance. He used this ban to take part in Celebrity Big Brother (he finished seventh, in case you wanted to know), and has since been operating as a freelance jockey having split with Godolphin Racing. By the end of 2017, he had ridden more than 3,000 winners in Great Britain, a whopping 750 more than the next currently active jockey. Born in 1945, Paul Schockemohle is a former German showjumper. He competed in various Olympics between 1976 and 1984, with his best achievement being a silver in 1976. He also took part in three European Championships and the Hickstead Derby, which he won three times. Schockemohle was secretly recorded in 1990 “poling”, which a banned training technique that involves hitting a horse’s legs with a pole to encourage it to jump higher. Despite being caught out in this cruel technique, Paul now breeds and trains some of Germany’s top sports horses, hopefully using kinder methods. A Scottish eventer born in 1954, Ian Stark is now retired. He began riding at the age of 10, and went on to compete internationally He competed in eventing, and took part in Olympics, World Championships, European Eventing Championships, and Badminton Horse Trials. He won silver medals in the Olympics in Los Angeles and Sydney, for individual and team respectively. Stark won Badminton Horse Trials in 1999, and took golds in the European Championships in 1991 and 1997. He retired in 2007, after the Kentucky Three Day Event riding Full Circle II. Mark Todd is a very well known rider from New Zealand, who was born in 1956, and who holds the title of being the oldest rider to ever win Badminton in 2011. Mark loved horses from a very early age, and had considered becoming a jockey, but proceeded to grow to 6ft 2, making this goal impossible! He has settled instead for showjumping, and has been highly successful. He won Badminton on his first ever go, in 1980 riding Southern Comfort. Competing at the 2012 and 2016 Olympics, Todd was given the (somewhat dubious) honour of being the second-oldest New Zealand competitor! Mark Todd is recognised as a pioneer for the three day even in his home country, where it now flourishes. Todd retired after the 2000 Olympics, but made a comeback in 2008 and his last outing was in the 2016 Olympics. An Irish flat racing jockey, Kieren Fallon was born in 1965 and was British Champion Jockey six times during his career. He won his first race in 1997 and carried on winning! He worked as a freelance jockey following his dismissal from Henry Cecil’s stables, and got himself embroiled in some fairly dubious dealings, culminating in a ban from racing in 2006 after allegations of race fixing. In 2007 these charges were dropped, and Kieren went on again to be a freelance jockey, but things were still not plain sailing for him. He was once again banned following a positive test for banned substances, after which he resumed racing in 2009. In 2016 he announced his retirement following a bout of depression. Lester Piggott is widely regarded as one of the greatest flat racing jockeys of all time. He holds 4,493 career wins, including an impressive nine Epsom Derby wins. Known as “The Long Fellow” because of his unusually tall height for a jockey, Piggott kept himself 30lb under his natural weight and was known for not sparing the whip. Lester’s family could trace its roots back to jockeys and trainers as far back as the 18th century, so there was no doubt what career he would get into! Lester got into racing at age 10, and won his first race at the age of 12. He was prosecuted for potential tax fraud and stripped of his OBE, and served 366 days in prison for this offence.